Fencing is almost as old as history itself, and people always wonder why others are so mesmerized by this sport. It’s quite expensive, indeed, but it has so many benefits and gives you so much passion, that you’ll instantly fall in love with it if you try it just once. As we said in the beginning, the history of this game dates back thousands of years. The sword fighting is what inspired this sport that comes from the 13th century. It’s the kind of sport that is also old, but it’s also constantly changing. It renews itself and everyone can still continue the tradition but also learn something new while practicing this sport. It’s a fact that the fencing uniforms look really cool. Even if the appearance is not everything, it can’t be denied that this is one of the facts that attract people to start fencing. 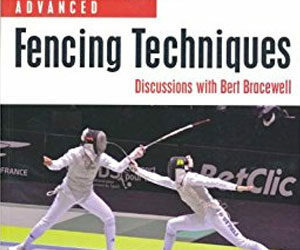 Those who practice this sport have a jacket, a mask and these uniforms do make them feel like a fencer once they get dressed. You can ask anyone who practices it – it’s a kind of magic in wearing that uniform. There are three types of swords in this sport – the epee, the foil, and the sabre. A beginner will start with a plastic sword, but once you get some experience, you’ll learn the hang of every type of sword. The players develop a specific and intimate relation with their weapon, as these become a part of them, especially after hundreds of hours of practice. Every fencer feels the rush of adrenaline when they step onto the strip. 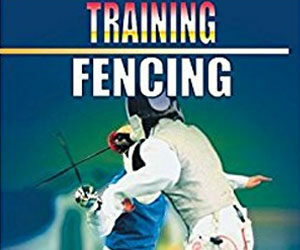 It’s extremely exciting and it does bring a rush of energy every time the player wears the uniform and starts fencing. It’s about the stance and the energy it brings while sharpening your mind and letting one concentrate on the game. Everyone who practices fencing also loves the competitions that this sport brings. It’s not just about winning, but it’s about challenging themselves to be better people. A competition always gives one the possibility to learn new things and to learn how to put them to practice. One also gets to travel to new countries, meet new people and know new cultures. It’s a great opportunity to see the alikeness and the differences between opponents and people in general. When you decide on starting something, give this sport a try and see why it’s so amazing!